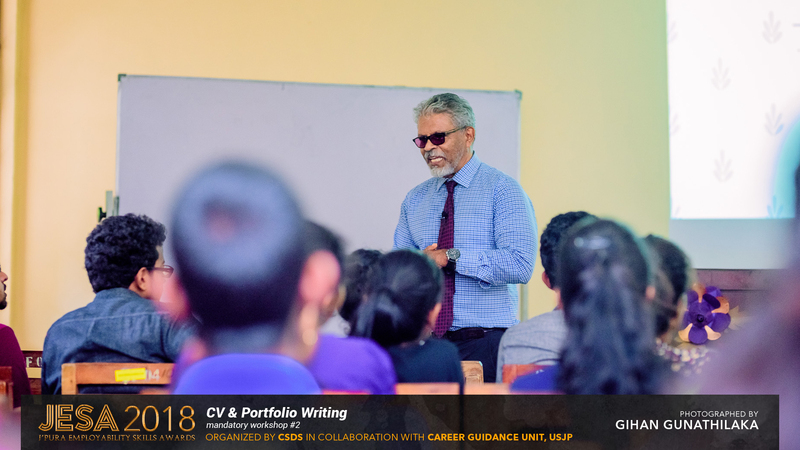 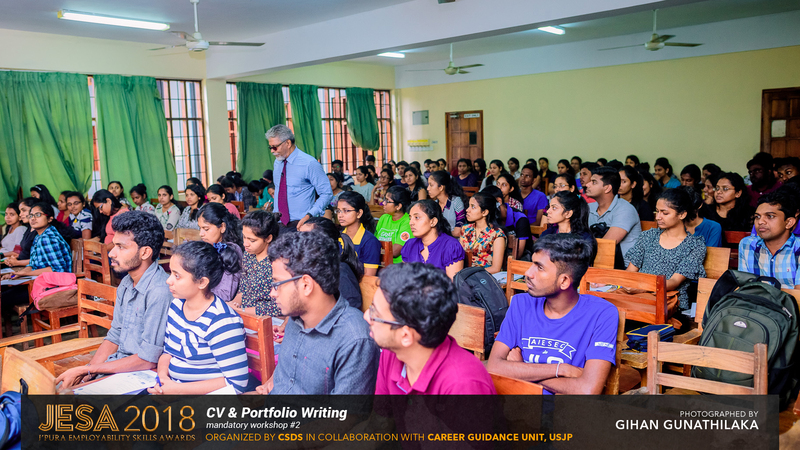 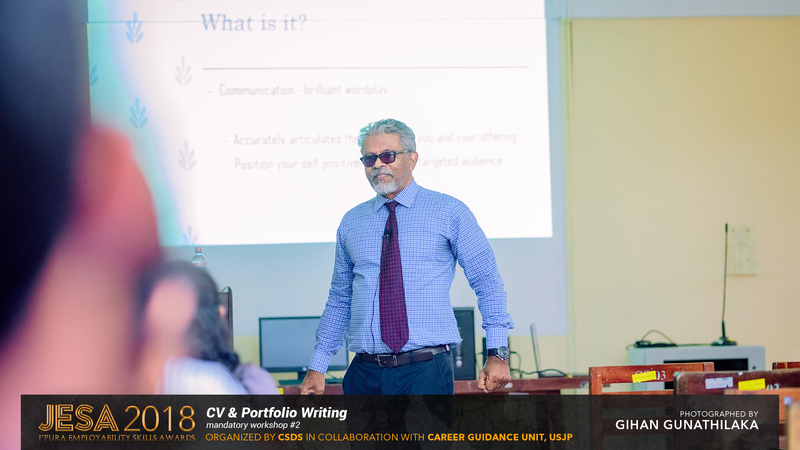 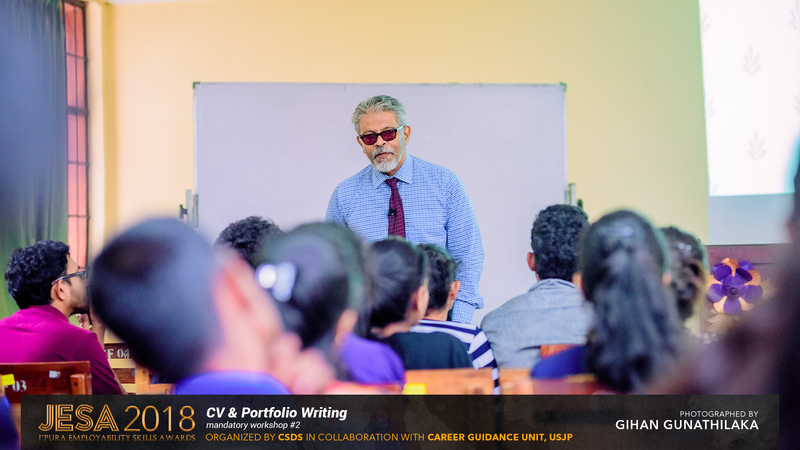 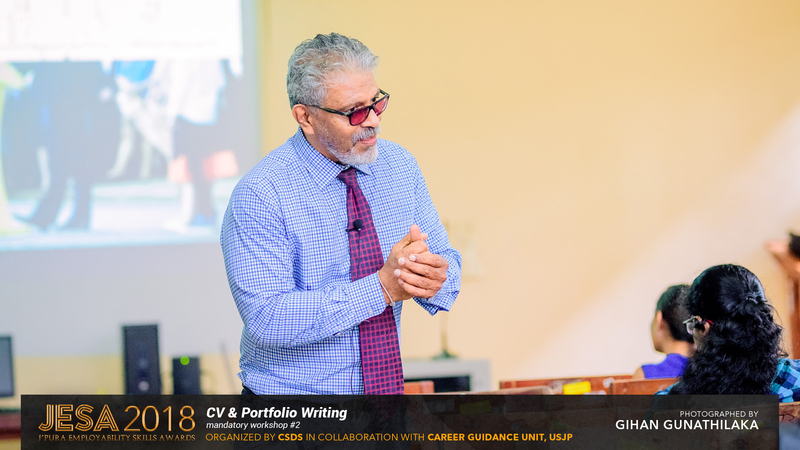 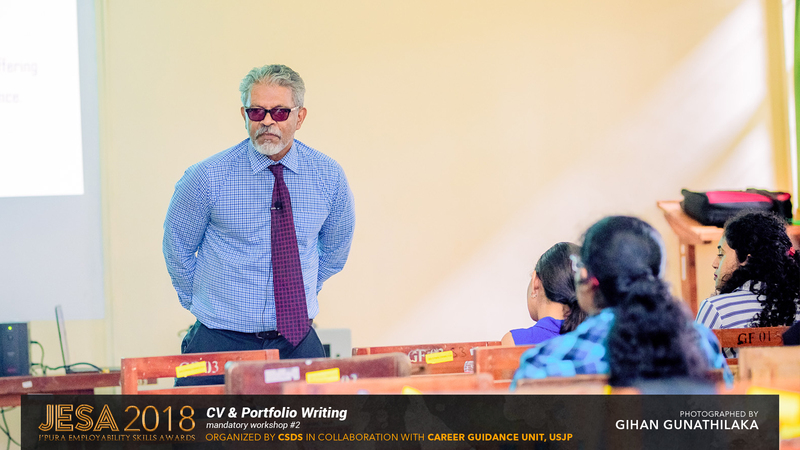 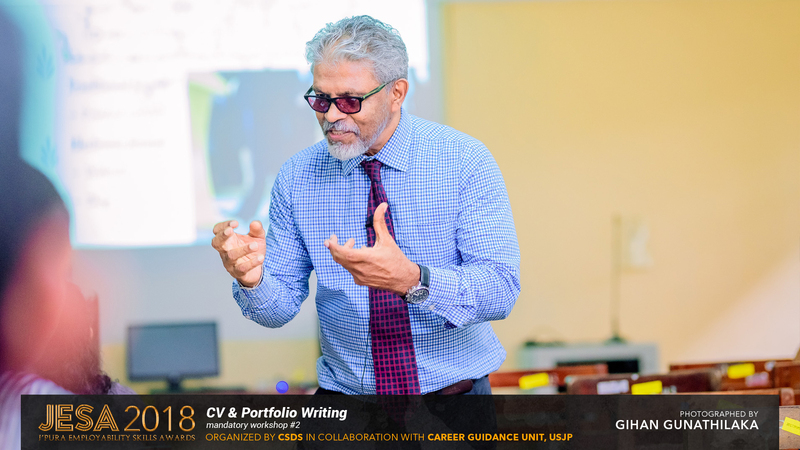 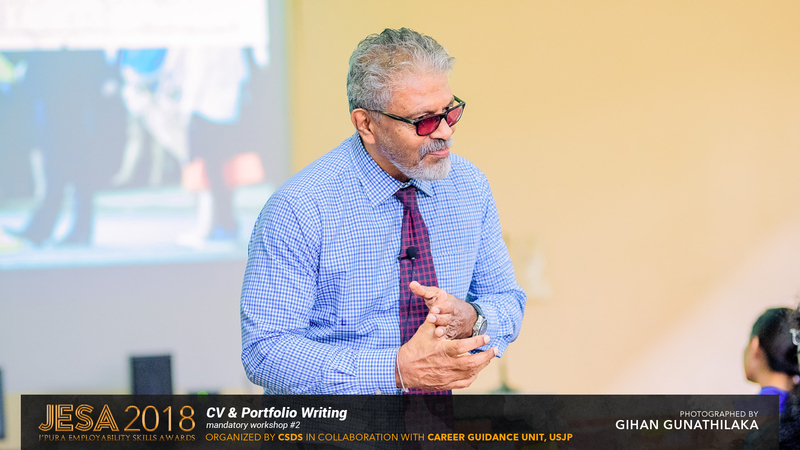 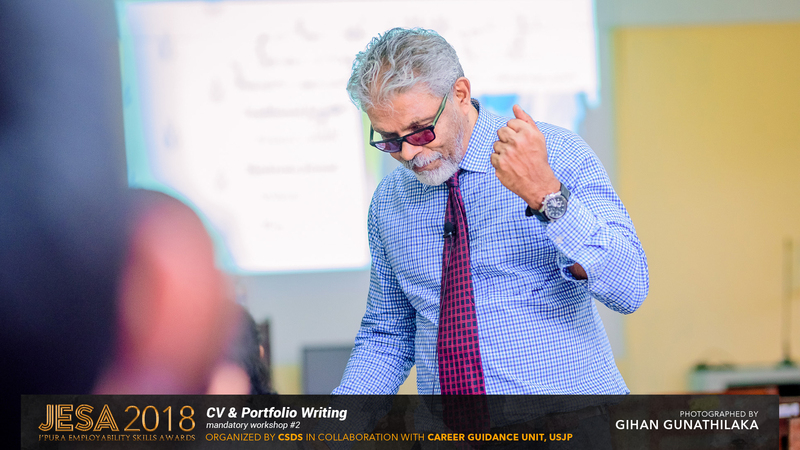 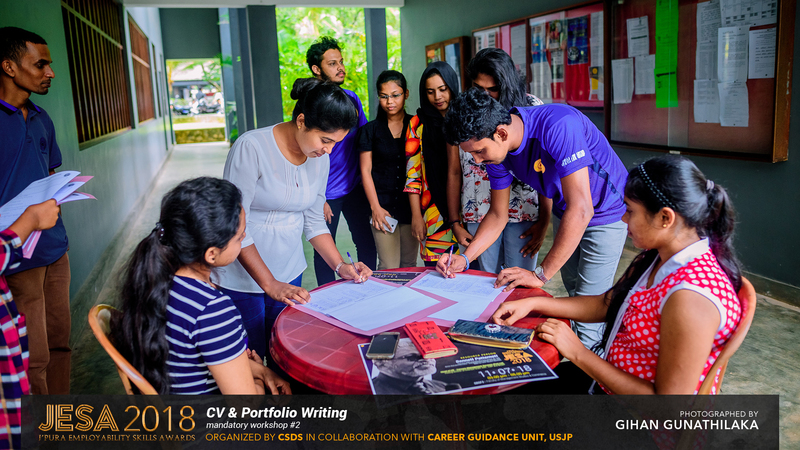 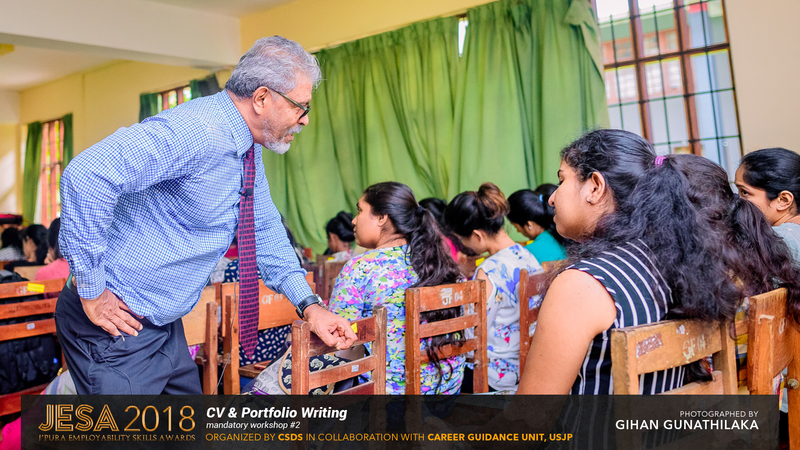 JESA 2018 – Mandatory workshop #2 The workshop on “CV & Portfolio Writing” was held on 11th of July 2018 at SBGF3. 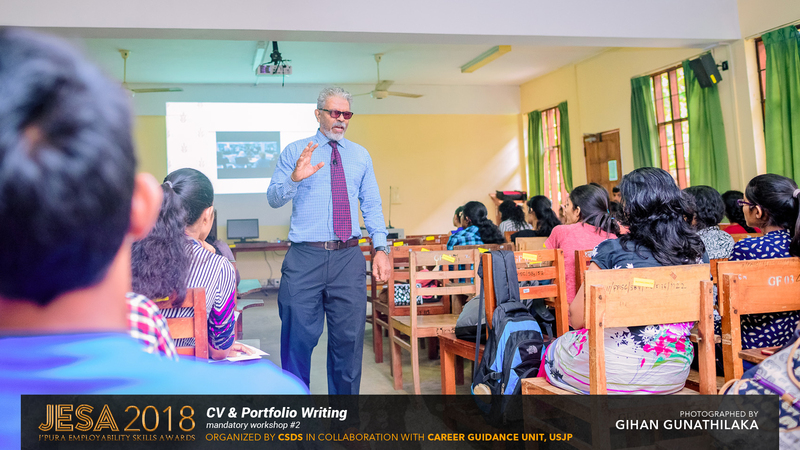 This was the 2nd workshop of J’pura Employability Enhancement Month 2018 which was organized with the intention of enhancing the Employability skills of the candidates of JESA 2018. 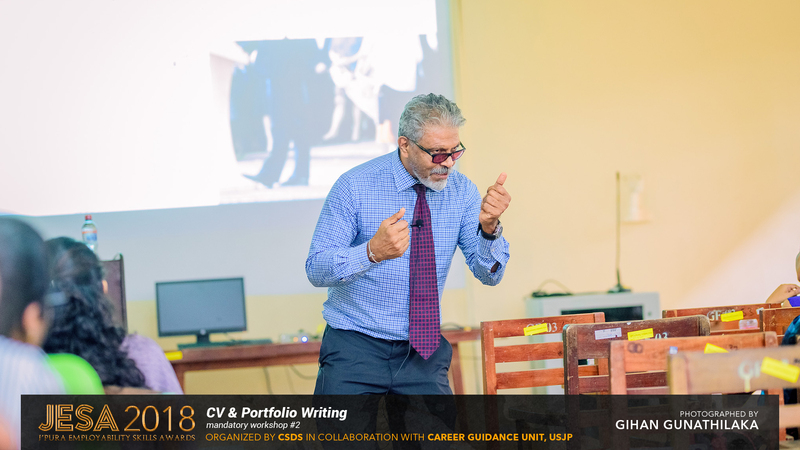 This enthusiastic session was conducted by the renowned business magnet, Mr. Bennett Patternott, the Head of HR, Carsons Management Services (Pvt) Ltd.. 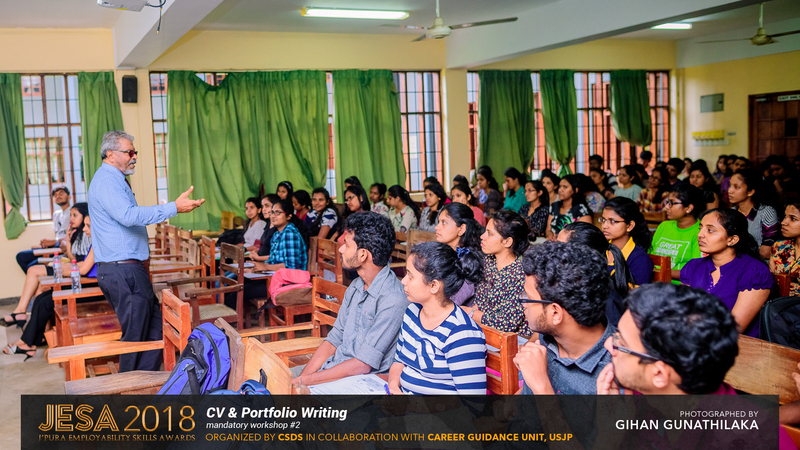 Though it was a mandatory workshop for all JESA applicants, there were around 150+ participation including non-applicants.